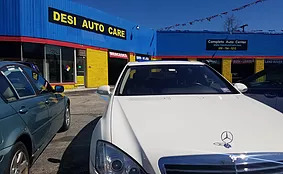 Don't take your Mercedes just anywhere, bring it to Desi Auto Care for auto repair! 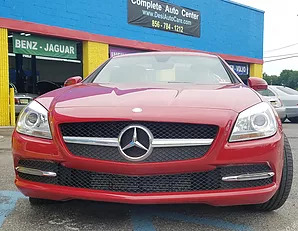 It's important to preserve Mercedes's charisma, glamour, and prowess on the road by having your Mercedes auto repair provided by repair specialists who truly care. At Desi Auto Care, we are just as passionate about these vehicles as you are. We take great care in each Mercedes automotive service we provide. 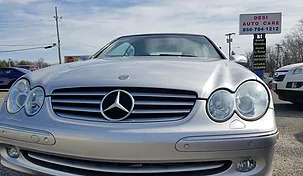 Our Mercedes auto repair technicians are specially trained to work on all models of Mercedes. We have access to Mercedes specific parts and diagnostic equipment, allowing us to be your dealership alternative. Also, all auto repair is guaranteed, so you can rest assured we are your Mercedes auto repair shop! The performance and sport model Mercedes require experience Mercedes Benz service to keep them on the road and driving the way you want. 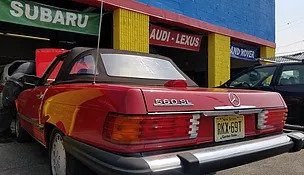 If you have an E-class Cabriolet or SLK-class Roadster bring it to the Mercedes Benz Service Experts at Desi Auto Care. Our qualified technicians can provide you with everything from an oil change to a full engine flush and any major repair. 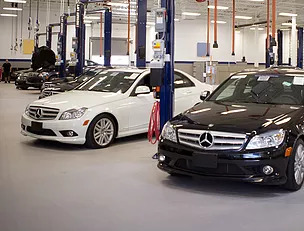 During our Mercedes Service appointments, we will inspect all the parts of your engine and drive-train that provide you with performance while making sure your electronics and weather seals are in good working order to provide you with comfort. For the sedan and coupe SLS and CLA models, part of our regular Mercedes Benz Service focuses on a visual inspection of the undercarriage of the vehicle. These cars get a lot of use around South Jersey and most people are unaware of the extreme conditions that can exist on a mild city road. A Desi Auto Care Mercedes Benz technician checks to make sure that road grime, salt or tar hasn't worked its way into your suspension and started to interfere with its functioning. We will also check and make sure that your tires are in good enough shape and inflated properly so you can maintain your fuel economy. 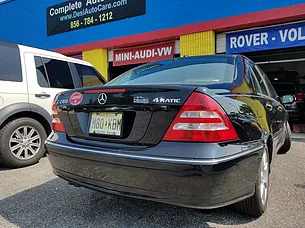 Our on-site stock of Mercedes OEM and approved replacement parts will make sure that you get back out and on the road fast.